Now a #1 Paranormal Historical eBook! 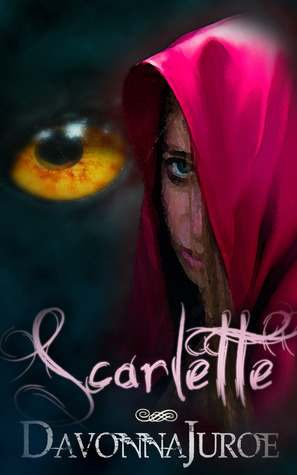 Scarlette, an 18-year-old peasant lives under a dark threat. A nightmarish creature lurks in the surrounding forest, killing the villagers one by one. When Scarlette's grandmother survives an attack, Scarlette learns that her grandmother hasn't suffered the bite of just any normal animal. What if Little Red Riding Hood were real? Scarlette was unexpectedly a hit as far as I'm concerned. I had never heard of the author Davonna Juroe however, she knows how to write an intriguing retelling of the classic fairy tale Little Red Riding Hood. It was extremely dark, and somewhat depressing. This is not a negative thing, for I enjoyed every single minute of it. I was impressed by Juroe's detail. She set every scene up flawlessly. The one thing that bothered me was that the main character, Scarlette, was crying on practically every page. It became a little unnerving. I can totally understand why Scarlette would have a reason to be sad, depressed, and resentful. But the crying became a little redundant. I liked Scarlette as a character. 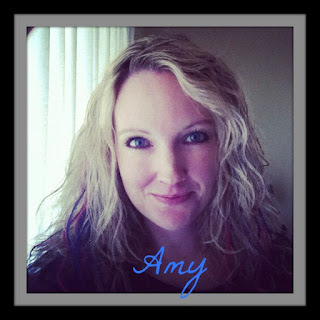 She went through a lot of tragedy, guilt, anguish, and shame. During this dark and grim retelling of The Little Red Riding Hood, there was a single question that kept popping up: Who is the Big Red Wolf? He was obviously a villager in town, who dealt with Scarlette on a daily basis. One of the upsides to this thrilling novel was the love triangle, between the wealthy Baron, Scarlette, and the peasant woodcutter. There were so many hints and mystery along the way that made me unwilling to close the book, because I need to know two things: The identity of the Big Bad Red Wolf, and who Scarlette was going to choose in the end. I enjoyed this book immensely. It was definitely a creepy Halloween read, and I suggest that you buy the Kindle book for cheap on Amazon.